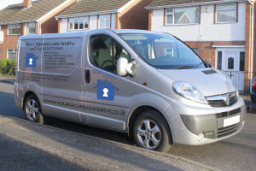 Locksmith Nottingham - Your Secure Locksmiths Your Secure Locksmiths, Nottingham delivers a complete range of mobile lock services. We aim to reach you within half an hour in emergency situations, and within two hours for the equally important non-emergency situations. We are a local friendly business with only experienced and accredited engineers. You never know when you could be in need of an emergency locksmith in Nottingham. When locks suddenly fail or you lose your keys, you need someone to help, FAST. That's why Your Secure Locksmiths offers a professional 24/7 emergency locksmith service in Nottingham and surrounding areas..